OLYMPIA—October 26, 2018—Results released by the College Board and ACT show 2017–18 participation rates and performance for SAT, ACT, and Advanced Placement (AP) tests. In 2018, Washington students performed better than the national average in all ACT college readiness benchmarks, which include English language arts, math, and science. Washington students also scored higher than the national average on both measures of the SAT, English language arts and math. Participation also increased for the SAT. In 2017, 40,379 students took the SAT. In 2018, the number rose to 44,709, a 10.7 percent increase. Although participation in the ACT did not increase in 2018, student performance did. Washington students performed better in English, math, and reading than they did in 2017, while scores remained steady in science. In addition, more students of color are accessing SAT tests than they did in 2017. For example, the percentage of students who identify as Pacific Islander who took the test increased by 46.4 percent. For students who identify as Latino, the increase was 6.8 percent; and for students who identify as two or more races, the increase was 13.1 percent. 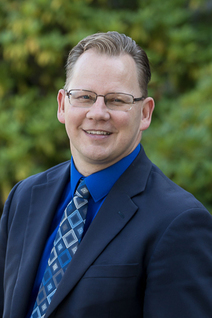 Superintendent Reykdal’s 2019–21 budget proposal includes a request for additional funding to help students experiencing poverty pay for the costs of dual credit courses, including AP. Students experiencing poverty can also take SAT and PSAT exams for free through the College Board’s fee waiver program. All students prepared for post-secondary pathways, careers, and civic engagement.